Flower colours with different combinations of gene activity. 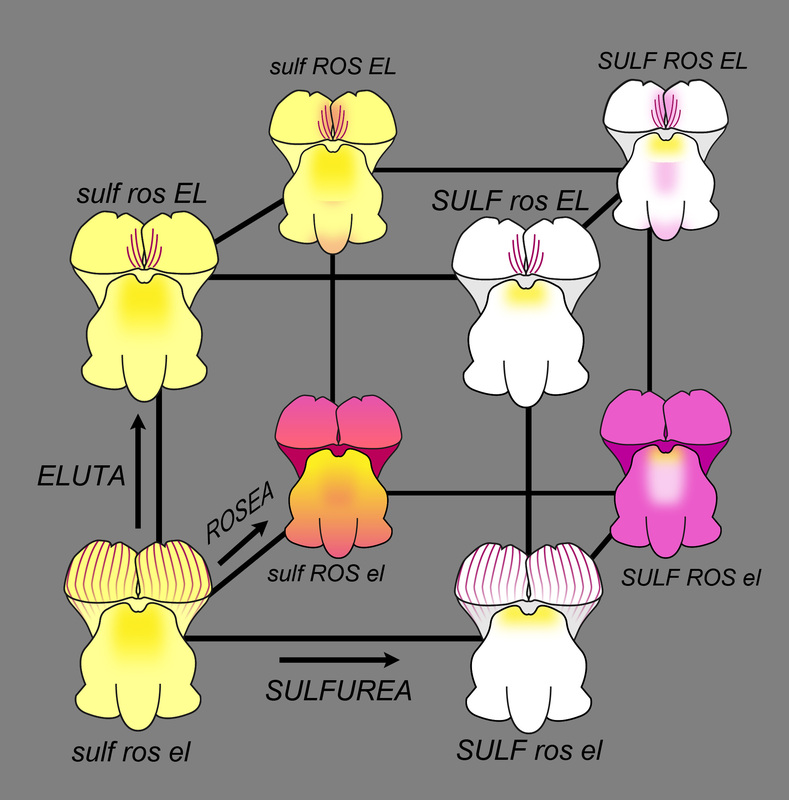 SULF restricts yellow, ROS promotes magenta and EL restricts magenta. A.m. striatum is sulf ros EL. A.m. pseudomajus is SULF ROS el.